The holiday season is here and the top meal delivery services have come up with some pretty great ways to help you make the most beautiful feast on a budget. With savings of nearly $100, the most delicious meals and meal kits have never been so affordable. Whether you want to enjoy chef-prepared dishes, cook on your own or get some quality wine to make your meals more special, we have got you covered. Right at your fingertips are the most generous Black Friday discounts on the best meals, meal kits, and wines in all of America. Browse our rich selection of Black Friday discounts and check back between November 23 and November 26 for more exclusive deals from the best meal delivery services. Offer: Get a $60 discount on your first 2 Freshly orders! Freshly has organized a special Thanksgiving sale that allows you to save $60 on your first 2 weeks of 12 meals and pay just $75 per week. Offer: Get a $30 discount as a new Winc member! Now is the perfect time to become a member of the Winc wine club. If you order by November 27, you get a $30 discount on your first fine wine delivery. Offer: Enjoy $20 off your first 3 Sun Basket deliveries! 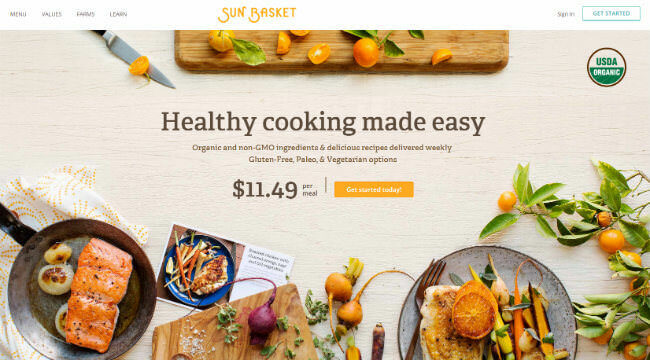 Start your Sun Basket subscription today and save $60, with a $20 discount on each of your first 3 weekly orders. Offer: Get $20 discounts on your first 4 orders! As a new member of the HelloFresh family, you get to save $80 total on your first 4 weekly deliveries. Be sure to order by November 29 to make use of this sizable discount. Offer: Save 25% on any Veestro order over $200 and get a FREE gift card! If you place a $200+ order at Veestro by November 25, you get a 25% discount on the whole order plus a free $25 gift card that makes for a great holiday present. Offer: Get a 60% discount on your next Plated order! With the special Black Friday deal from Plated, you can save 60% on any order worth up to $95.52 and placed by 11:59 PM on November 23, 2018. Offer: Get a 23% discount on WonderSlim products of your choice! WonderSlim can help you lose weight and save cash at the same time with the exclusive Black Friday discount that lets you save 23% on your favorite WonderSlim meals, bars, shakes, and more. Offer: Enjoy a $60 discount on your next 2 Factor75 deliveries! If you order from Factor75 by November 27, you get to save $60 on 2 weeks of delicious, chef-prepared meals of your choice. Offer: Enjoy 6 Gobble dinners for only $6 per kit! Gobble dinner kits normally cost $12 per person, but now you can get your next 6 dinner kits for just $6 a piece and cook gorgeous, budget-friendly meals in a mere 15 minutes!